The ultimate dependancy of the created upon the Creator. Based upon an article by Imaam Ibn al Qayyim al-Jawziyyyah (A renowned Islamic scholar from the 8th century [approx 1400's CE] in his book, "Igathat ul-Lahfan min Massa'id Ash-Shaytaan: The Relief of the Yearning (person) from the Traps of the Devil)" Vol 1, PP 6-42. Certainly, man can have no better guidance than that which comes from the One Who had perfected everything, and the One who Has no deficiency in Himself and in His Attributes. The One Who is Ever-Living and Who does not die. There can be no One better than the One Who Has no need for anything; the One Who is rich; the Giver; the One who, after all, controls man's soul. Man is so poor to Him. 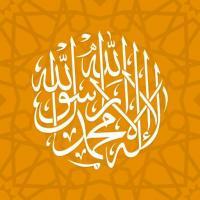 He is Allaah, the True and only God. Man can bring harm to himself if he seeks other than Allaah for help. Allaah is the One Who can help man drive away any harm for it cannot occur without His Will and His Power.